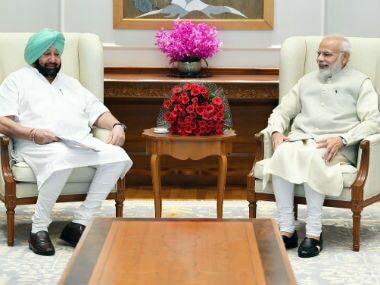 New Delhi: Punjab chief minister Amarinder Singh on Thursday met Prime Minister Narendra Modi to seek compensation for farmers for avoiding stubble burning. 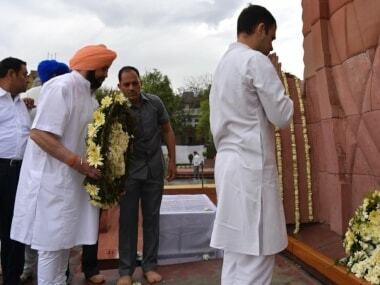 He sought Modi's intervention to ensure settlement of Rs 31,000 crore cash credit limit gap and assistance for the preparation of the 550th birth anniversary celebrations of Guru Nanak Dev. Modi was sympathetic to the farmers' plight, said Singh, who has been pressing for Rs 100 per quintal as compensation for the farmers to check the problem of stubble burning. Singh told Modi that the problem of stubble burning could get aggravated, despite various steps being taken by the state, with the close of the harvest season, and needed to be urgently addressed. The chief minister also took the opportunity to thank the prime minister for the Centre's decision not to disturb the 60:40 ratio with respect to appointment of officers in Chandigarh. Amarinder Singh had expressed his protest over the constant efforts being made to disturb the fine balance in sharing of officers and other resources between Haryana and Punjab that had been achieved over a period of time after a great deal of effort. Giving details of the meeting, an official spokesperson of the Punjab government said the chief minister had urged Modi to advise the finance ministry to urgently settle the Rs 31,000 crore cash credit limit gap on the principle of shared responsibilities. Reiterating his demand for resettlement of gap in Food Cash Credit Account of Punjab, which had resulted from systemic and structural reasons, the chief minister said this should be settled on the principle of shared responsibilities amongst the stakeholders in procurement of foodgrains for the country. In fact, he pointed out the matter had been discussed in detail in internal report of the Ministry of Food and Public Distribution, referred as the PK Jha Committee report. Noting that the Ministry of Finance, which was looking into the matter on a reference received from the Ministry of Food and Public Distribution, was yet to finalise the matter, Singh sought Modi's intervention to resolve the issue. He also urged the prime minister to advise the Ministry of Finance to reconsider and review conversion of Rs 31,000 crore as long-term loan as it cannot be solely attributed to Punjab given the principle of shared responsibilities. The chief minister, in the letter, had informed Modi earlier that the heavy rainfall in state and adjoining Himachal Pradesh from 22-24 September had caused extensive damage to life, agricultural crops, property and other infrastructure at different places in the state. 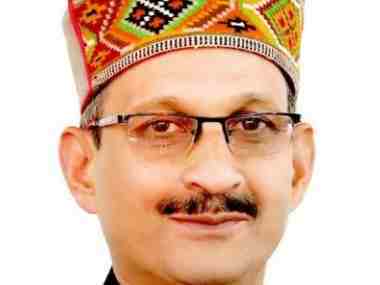 The estimated damage to crops was Rs 150 crore, while road network had been damaged to the extent of Rs 119.32 crore, with another Rs 516.51 crore caused to flood protection infrastructure and minor irrigation works, said the chief minister.